Once you get to a certain point in your early World of Warships career you can start training your ship captains to have have certain abilities. The abilities are categorized into 5 levels and you can't select an ability in a level until you have one ability in the previous level (excepting level 1 obviously). 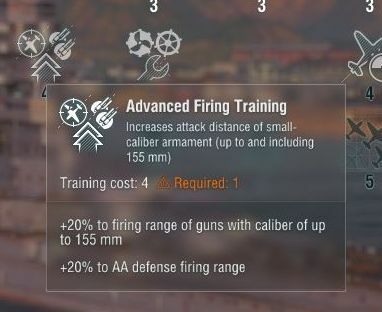 The abilities cost a number of skill points per their level (i.e. 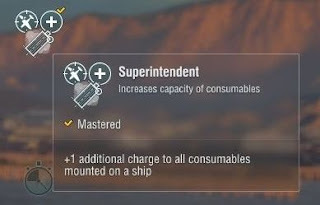 level 1 abilities cost 1 point, level 2 cost 2 pts, etc) and your captains earn points via experience gained in battles and each subsequent point requires more experience than the last. What this all means is that its an ever increasing requirement of experience to get the next point, and skills in higher levels need so many points to open up skills in lower levels in order to make them even available. In other words, even in Closed Beta with its increased rewards to speed progression I never got and level 5 skills. There are two extreme approaches you could take to gaining skills. The first approach is breadth first where you use your incoming skills to get all the level 1 skills, then all level 2 skills, etc. The second approach is depth first where you get one level 1 skill, then one level 2 skill, then one level 3 skill, etc. 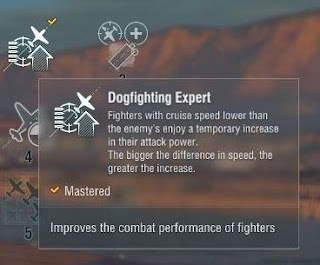 The advantage of the former is that you get lots of skills more quickly, but it means it will take you even longer to get to the higher level skills since each skill point takes more and more battles to earn. 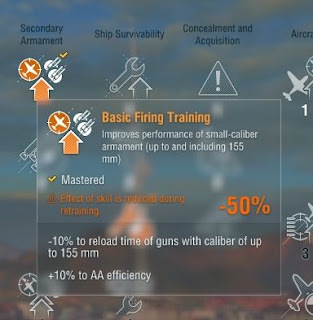 Another issue is that not all skills are very useful or even apply to every ship class, or even every ship in the class line. 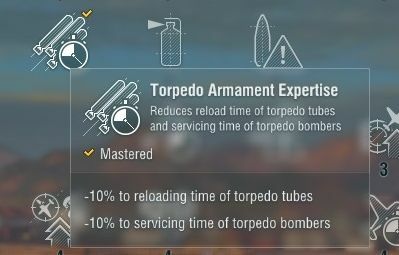 For example, while early USN cruisers have torpedo tubes later ones starting at tier VI do not so taking skills that work on torpedo loading would be wasted. Oh, I should mention that you can move captains from ship to ship and retrain them to the new ship either instantly using Doubloons (i.e. gold) or after getting so many experience points (the number depending on the number of skills he currently has) during which the skills' effectiveness are 50%. This allows your captain to develop and grow with more skill abilities as he progressed up the tech tree with you. I tried both depth first and breadth first training in the Closed Beta while I was learning things and decided that I would concentrate on depth first to get the best skills and back fill later on. (If you make major mistakes you can pay gold to re-allocate all the skill points, the more points to re-allocate the more gold it takes). As I am working up four lines (IJN Battleships, Carriers, and Destroyers along with USN Cruisers) I have been working on the same four captains. The cruiser and battleship captains were with me at the start while I picked up new captains for the carrier and destroyer when they became unlocked. 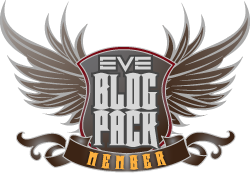 I'm going to go over the skills I've picked for my four captains and the reasons. The level one skill is to get the most out of my secondary batteries for fending off destroyers, torpedo bombers, and getting extra damage on enemy cruisers and battleships. Second level skill I went with faster turret rotation, even though its only 0.7 degrees/sec more for the big guns, every bit helps with those suckers and makes it more possible to be 1/2 turning and still track. I had some debates on level 3, but went with the extra repair for more hit points back in a pitched battle. This will work nicely with my level 1 skill to further power up my secondary batteries and AA defenses. 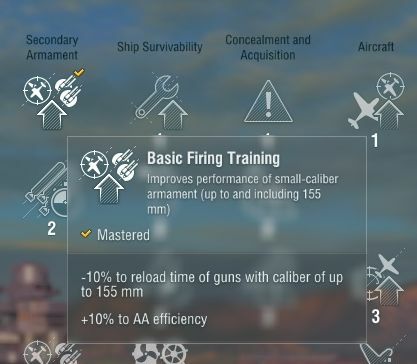 I just recently got my Omaha tier V cruiser, so the captain is still retraining. ... Same with level 2. The turrets track really fast on the Phoenix and Omaha with this skill and make for excellent Destroyer hunting. I didn't see a level 3 that would pay off in the long run for a cruiser captain in the USN line, maybe the extra consumables, but I decided to go for faster reload of the Damage Control party as the cruiser tends to get smacked around a lot in my experience. 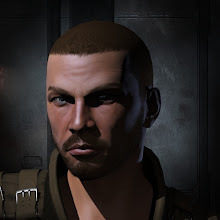 Overall, not happy and *might* respec this captain later. My Destroyer captain only has 2 skills, getting close for his third though. 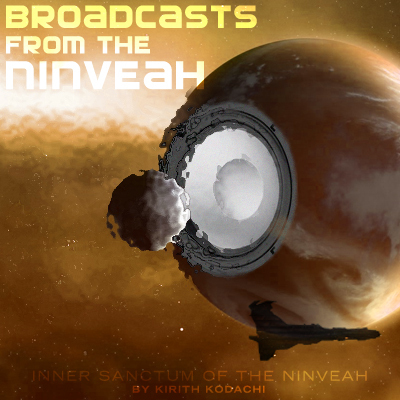 I find this extremely helpful for telling me when to start turning and looking for cover or getting out of range. Destroyers are dead if targeted too long. 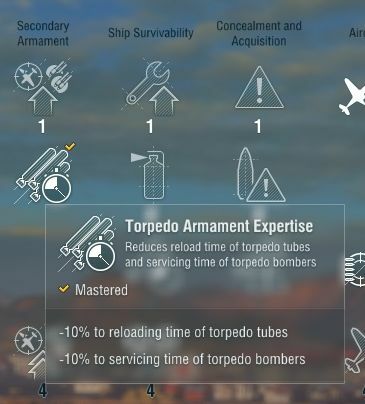 For a ship designed around delivered torpedoes, this skill comes in very handy. 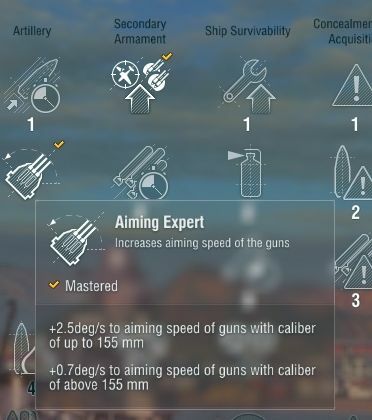 My tier V Zuiho carrier has some very different requirements! 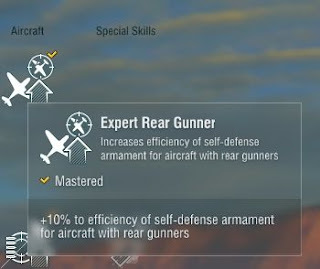 First off he uses the Expert Rear Gunner to give torpedo and dive bombers some extra defense against fighters. I've killed a few over time and it helps keep them alive longer. 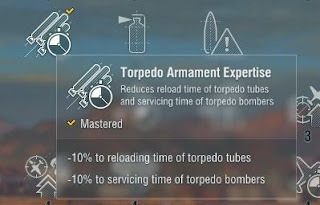 Again, torpedoes are key for carriers so reloading faster seems like the best option. I agonized over the level 3 choice because I'm in a IJN carrier and they tend to be seen mostly without fighters and concentrate on damage and avoiding enemy planes, but there was not another skill in the level that appealed. So there you have it! My current captains. 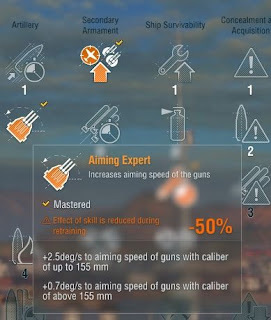 The torp acquisition range as a lv3 skill for the cruiser captain might be a good option. BBs are too sluggish anyway and the DDs are nimble enough to avoid them without it, but the cruisers... They are just in the middle, where if you're already turning in the wrong direction those extra seconds can mean you can avoid the torps, or at least reduce the amount you'll be hit with. For the BB captain, I went with the Survivability skill in lv1. It makes repairs faster and fires put out sooner. With the BB's hp and range, a lot of times it's better to just let them repair/put out themselves and not use up the damage control party skill. 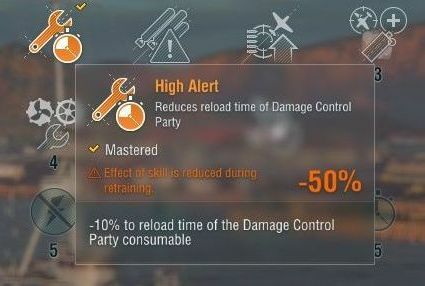 With it's hellish cooldown, even a weak torp run can kill you during it's downtime. And my secondaries are more inaccurate than the main gusn (which are also very inaccurate), so I rather keep away from any enemies. If a dessie manages to get close to me, then I'm still better off firing at it with my mains than waiting the secondaries to finish him off. At least on the lower level BBs. Thanks for the WoWS posts. Being F2P, is it worth it to level just one or two captains and take the penalty, or level them as new ships are acquired? Definitely keep the same captains and take the penalty (or pay the gold) or else your higher tier caps may never see the upper level skills. I'd say, if you intend to keep the ship for long, you might want to save the captain too. 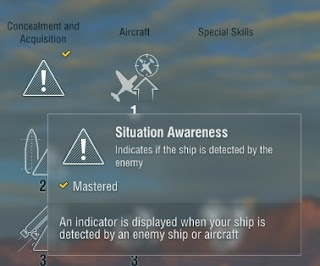 Unlike in WoT, when you retrain your cap, he loses the ability to use the previous ships he commanded before.